Order in the next 3 hours, 19 minutes an 44 seconds for same day shipping. 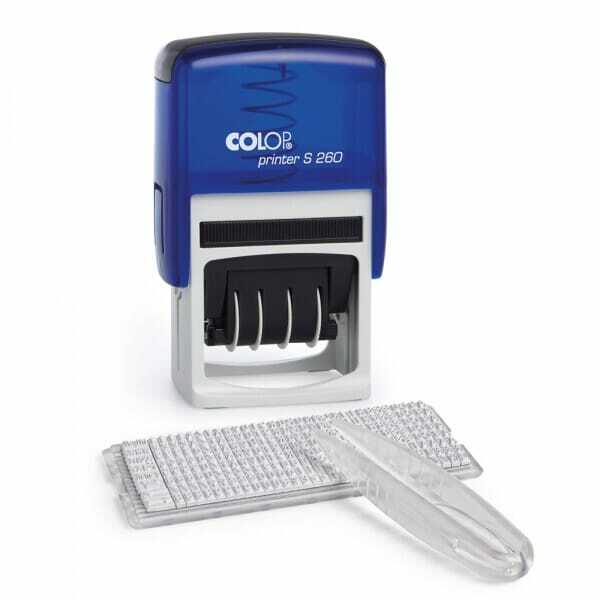 Buy your Colop Printer S260 Do-it-yourself Set - 2 lines of text + 4 mm date stamp at stamps4u.co.uk at low prices and fast delivery. Customer evaluation for "Colop Printer S260 Do-it-yourself Set - 2 lines of text + 4 mm date"